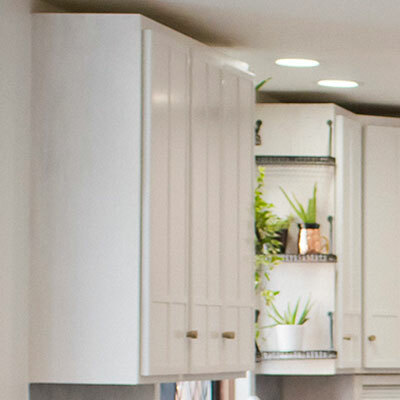 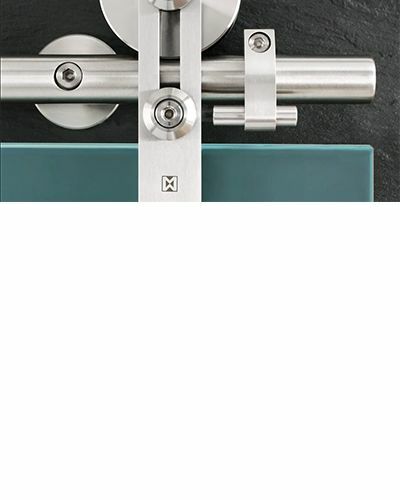 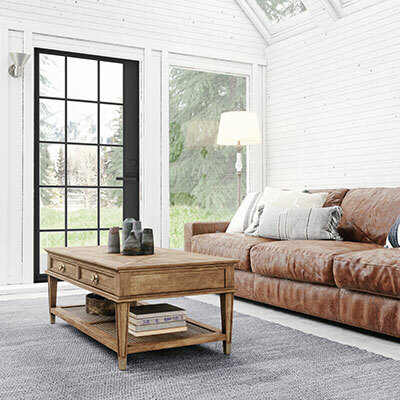 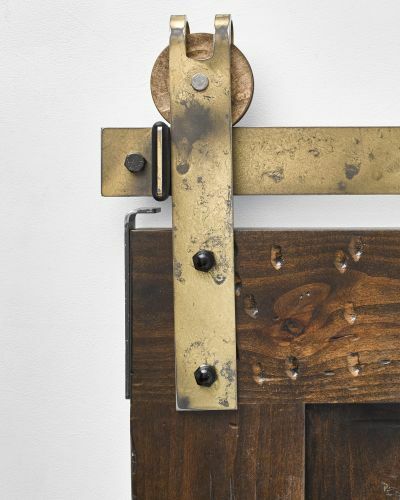 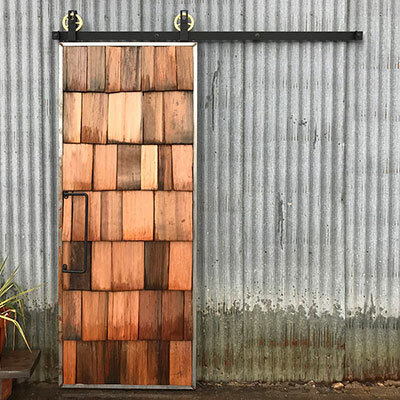 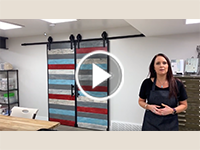 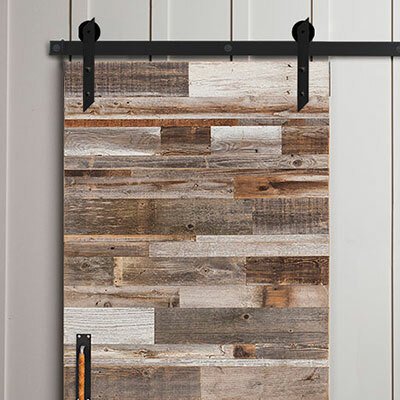 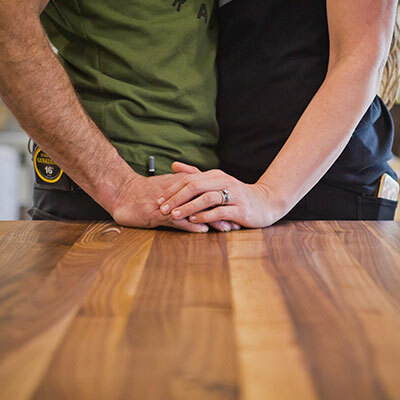 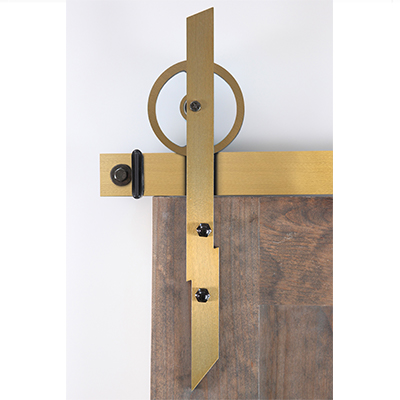 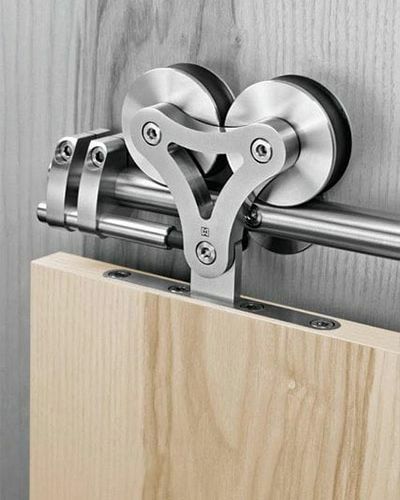 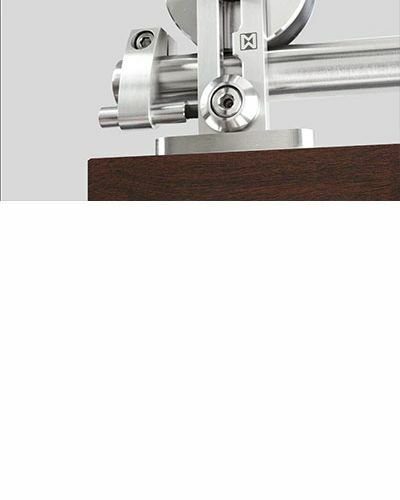 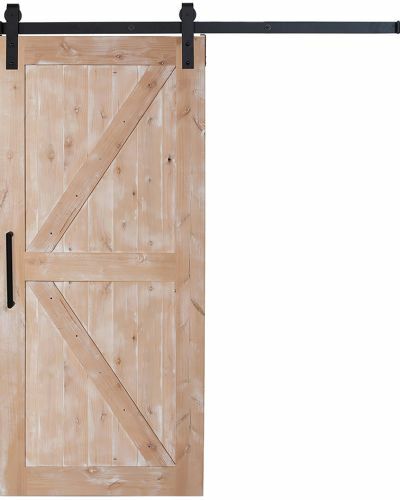 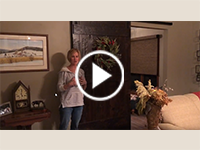 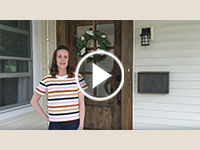 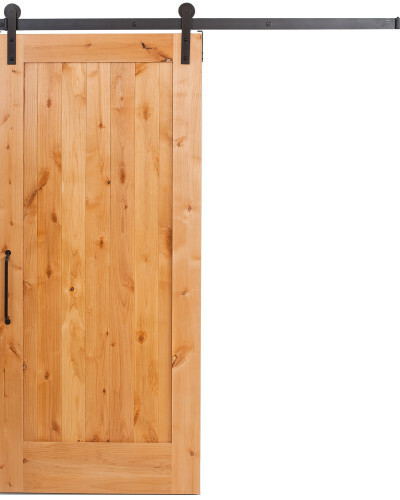 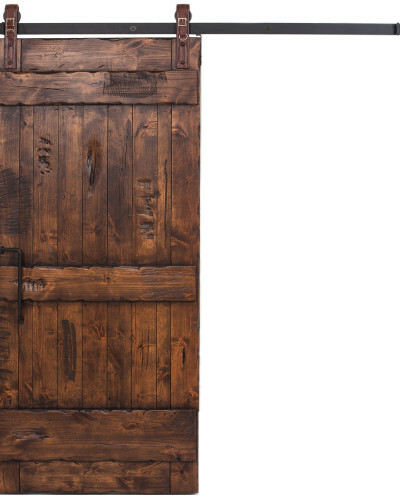 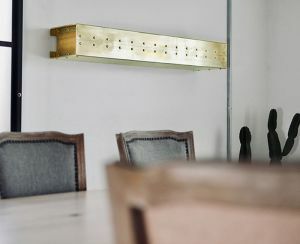 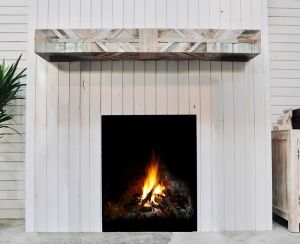 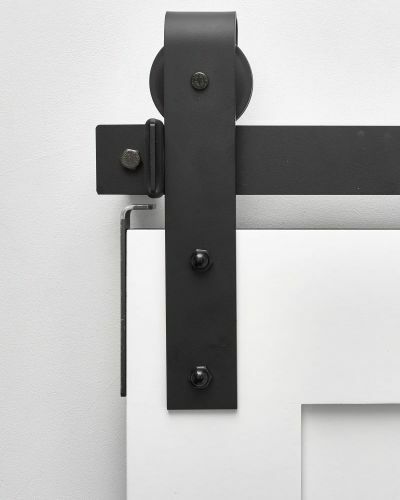 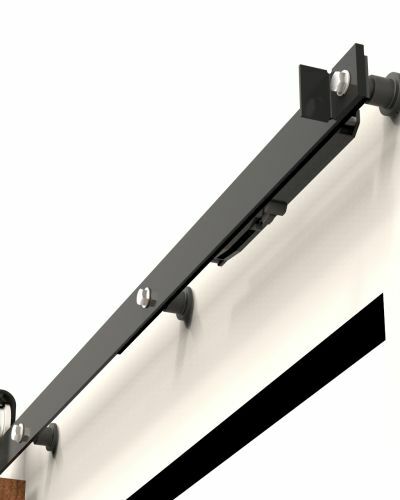 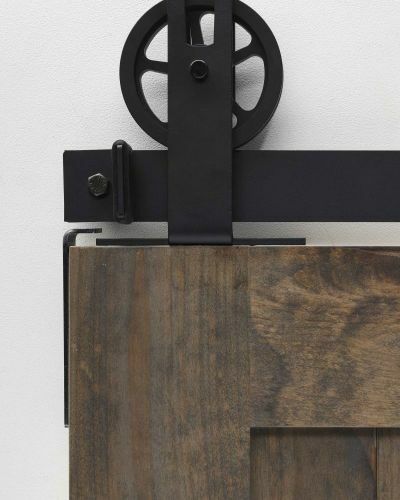 The "Purist" modern barn door hardware system is sleek and stylish with no visible connectors. 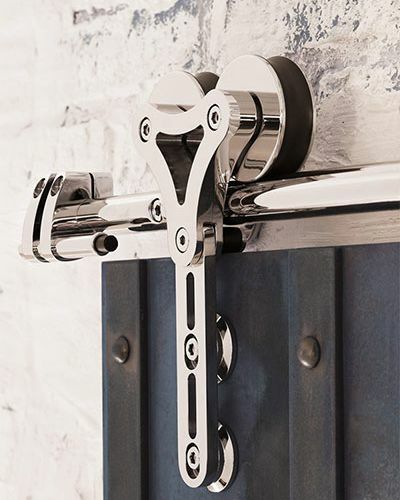 Discreet wheels and concealed rail mounts. 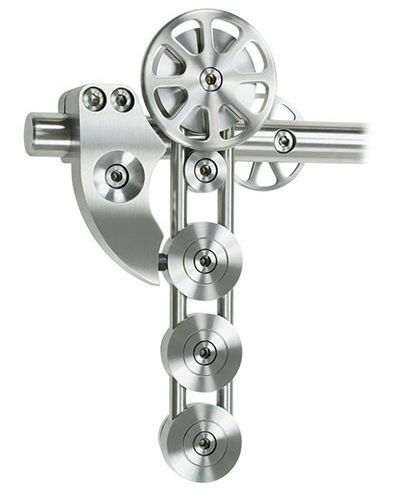 The wheel is available countersunk or traditional thru drilling. 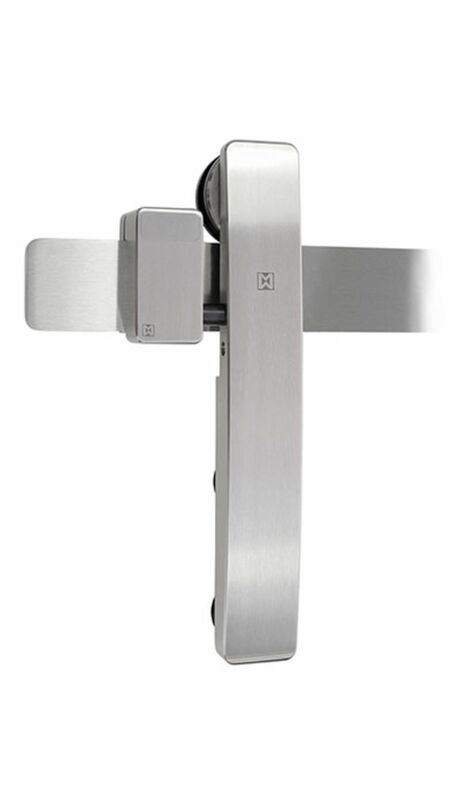 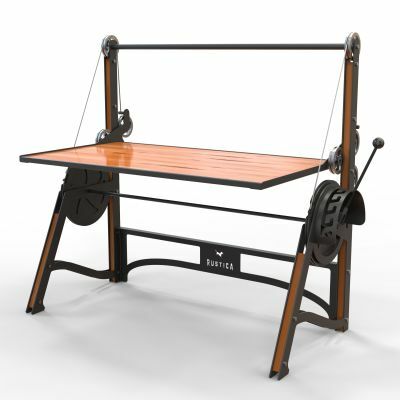 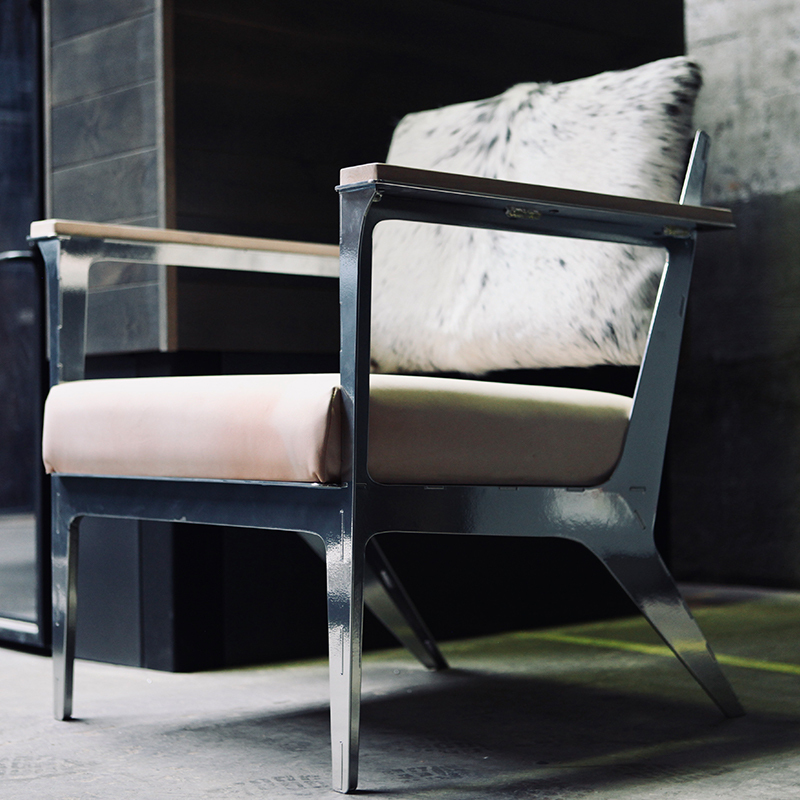 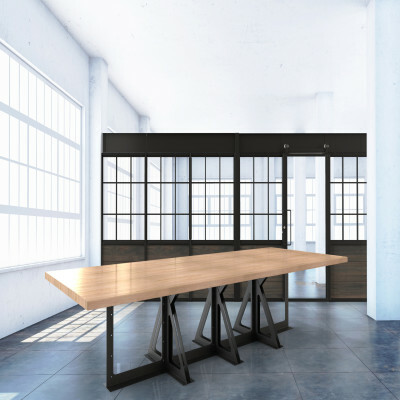 The "Purist" is for glass sliding doors up to 298 Lbs. 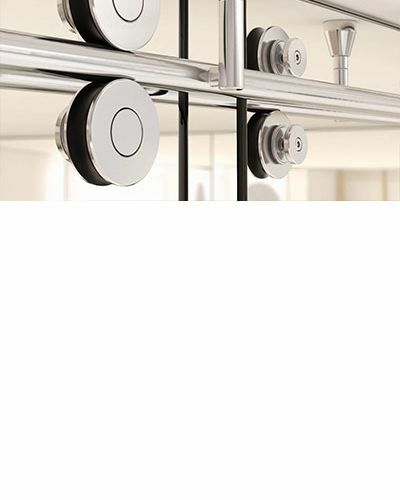 Authentic MWE product made with our partners in Germany.